We stock a range of On running shoes in store. On’s patented CloudTec® technology is engineered to deliver a soft landing followed by an explosive take-off. The result? 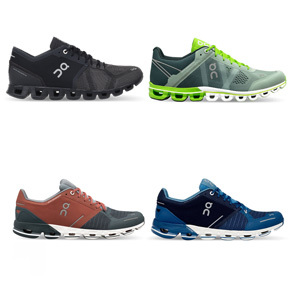 An unbelievably light running sensation – and no compromise on cushioning and impact protection. In other words, running on clouds.